According to new research in the field of consciousness, the traits and tendencies associated with the ten major personality disorders defined by modern psychologists have been found to be closely linked to any other types of natural instinctive animal and plant behavior seen in the world. Human beings are indeed creatures of habit, but why do so many of us engage in self-destructive, harmful and undesirable behavior? We see friends and family members continually getting involved in unhealthy relationships with the same exact personality archetypes over and over again. So many of us are afflicted with problems of substance abuse and/or have a predisposition to other types of addictions and a significant portion of us go through depression at some point during any given year. According to the National Institute of Mental Health, nearly 27% of the adult population in the U.S. suffers from a mental health disorder and researchers in the field of codependency calculate that at least 4 out of 5 adults suffers from at least some level of codependency. But it doesn’t take a researcher to know that our collective mental health on this planet isn’t in a good share right now. All you have to do is turn on the evening news. But why are we like this? How did things get this way? Psychoanalysts have developed different categories of personality disorders, based on common groupings of behavioral tendencies. These disorders, such as Borderline Personality Disorder, Narcissistic Personality Disorder, Bipolar Personality Disorder, etc. have long been considered by western clinicians to be incurable and treatable only to the degree of maintaining a life of managed misery. And this should not be too surprising. Modern psychotherapy is based largely upon uncovering environmental causes and developmental issues in childhood as the underlying source of a patient’s mental disease. However, if you consider the alternative viewpoint that the patterns linked to mental diseases are instinctive behaviors and not the result of our upbringing, curing someone of something like Borderline Personality Disorder, without the proper tools or understanding, would be akin to attempting to cure a salmon of spawning upstream or trying to cure a bee of pollinating flowers. Mental illness has been intrinsically embedded into our beings, and for us to be freed from these patterns, we need to fully comprehend the nature of these self-defeating habits. There is an old expression that says, “A leopard can’t change its spots,” which simply means that people are the way they are and deep down, at their core, they’ll never change. But if you stop to consider that instincts in plants and animals have developed over many, many lifetimes, and that our personality characteristics are no different, it should become conceivable that we could change at our core if we only knew how. What’s needed is an understanding that if it has taken several lives for us to develop the impulses of behavior that have led to so much suffering and misery, curing us of these unwanted mental patterns requires us to transcend the lifetimes it took for them to form. In fact, to attempt to treat these conditions without a comprehensive viewpoint of their development is simply treating the symptoms and not resolving the underlying cause. The latest Pew Forum survey of religious beliefs puts the overall percentage of Americans who believe in reincarnation at 24%, and reincarnation has always been a major tenet in Buddhism and Hinduism and some forms of Islam (eg. modern Sufis), certain Christian sects (eg. Gnostics), and even Judaism (eg. Kabbalahistic Jews). Due to the fact that reincarnation can never be empirically proven scientifically in a peer reviewed and publishable paper, it is practically impossible for reincarnation to be included in studies on mental diseases and basic human suffering. Unfortunately, because reincarnation cannot be reproduced in a laboratory, latent impressions on our consciousness from previous lifetimes cannot be factored into any credible research into neurological illnesses such as epilepsy, high functioning autism and other conditions that are considered to be strictly biophysiological. Logically, when you take a moment and consider that consciousness is pure energy and that energy can never be created or destroyed, it makes sense then that the consciousness of every living creature existed before life and will continue to persist after death. Furthermore, it follows that impressions are made upon the consciousness during the lifetime of each plant or animal, collecting knowledge along the way, and that this imprinted knowledge is then carried forward from one generation to the next. For example, one of the most amazing known stories about instincts in the animal kingdom is that of the migration patterns of Monarch Butterflies. Each spring, a generation of monarch butterflies leaves their home in a small mountain range in southwest Mexico and begins a multi-generational journey that will take them as far north as Canada. Each generation will fly four to five hundred miles before laying eggs and dying, leaving a new generation of caterpillars to mature, metamorphosize into butterflies and continue to migrate northward. The final generation however somehow knows to turn around and fly up to 2500 miles and make the return trip to the exact same mountain range not seen in its family since its great, great grand parents lived there. There’s no plausible scientific explanation for how something as small as a leaf and over six generations, can carry with it such a sophisticated internal GPS homing device, capable of retaining this amazingly precise information. But when you factor in properties associated with reincarnation, the scientific riddle is immediately solved. One of these qualities is that at the moment of conception, half of the impressions of your consciousness come from your parents (a quarter from your mother and a quarter from your father) and half come from your previous birth. Furthermore, the application of this knowledge of reincarnation into evolutionary theory helps bridge the gap between Darwinianism and Intelligent Design in a most elegant way. It wasn’t random mutations and natural selection that pushed evolution forward but consciousness itself that continually evolved, continually upgraded and continually became more and more refined, resulting in the enormous diversity we experience today. Bringing all of this all back to mental health issues, psychologists make diagnoses by administering personality inventory tests to patients and comparing the results to the lists of known traits and tendencies of people of known personality disorders. Similarly, instincts in plants and animals are also characterized by lists of traits and tendencies. However, whereas instincts in nature are always geared towards survival and perpetuation of the species, in humans, these adaptive personality instincts are all oriented towards survival of the ego. The ego, which is part of our consciousness, and so therefore is immune to physical death, is only concerned with its own perpetuation and therefore will use any number of its large arsenal of mental weapons to put its own needs ahead of the overall consciousness that it is a part of. One possible way of looking at this division is to consider that every living organism on this planet is, in fact, a biocomputer, with the physical body being the hardware, and the consciousness for each creature being the organism’s operating system and software. From this perspective, each of the mechanisms in the ego’s assortment of self-preservation tools could be looked upon as a computer virus or a malware program that have taken many revisions (lifetimes) to form and mutate. The relevance here is that once we recognize that the root origins of mental illness is in our consciousness and has been there for many lifetimes, we can begin to treat the underlying causes of the disease holistically through known effective practices and techniques. These time-tested methods include rhythmic breathing exercises and various forms of meditation. 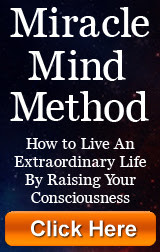 If we can suspend belief long enough to fit reincarnation into our worldview, is it not plausible to consider that latent impressions in our minds gathered over lifetimes govern our behavior and that by utilizing known mind cultivation techniques, it is possible to remove these impressions and overcome the patterns in our lives that have resulted in so much unhappiness. While meditation has been proven scientifically to have many benefits, including enhancing sleep, decreasing incidents of heart disease, lowering cholesterol, sharpening the intellect, balancing blood pressure, reducing cortisol (the stress hormone), improving creativity, heightening intuition, and increasing the level of overall well-being, the true benefit of meditation is the removal of impressions on our minds that drive human behavior. Once we are liberated from these instinctive behavior patterns, we can set out to live life to its fullest. It turns out that a leopard actually can change its spots. Given that it knows how to meditate. For more information on this research, see the new film Beyond Me at www.beyondmefilm.com. Frank Huguenard is an author, teacher and documentary film producer, specializing in films on Science and Spirituality. You can see a trailer of his Beyond Imagination Trilogy here: https://vimeo.com/60887570 and you can see all three of his films, Beyond Me, Beyond Belief and Beyond Reason at his website www.beyondmefilm.com.